​Everton welcome Manchester City to Goodison Park on Wednesday evening for an eagerly anticipated Premier League clash. With every passing week the pressure on both City and Liverpool to pick up three points grows increasingly heavier, and Wednesday promises to be no different. Pep Guardiola's side have cut the deficit to just two points following victory over Arsenal on Sunday, although the Reds do have one game in hand. 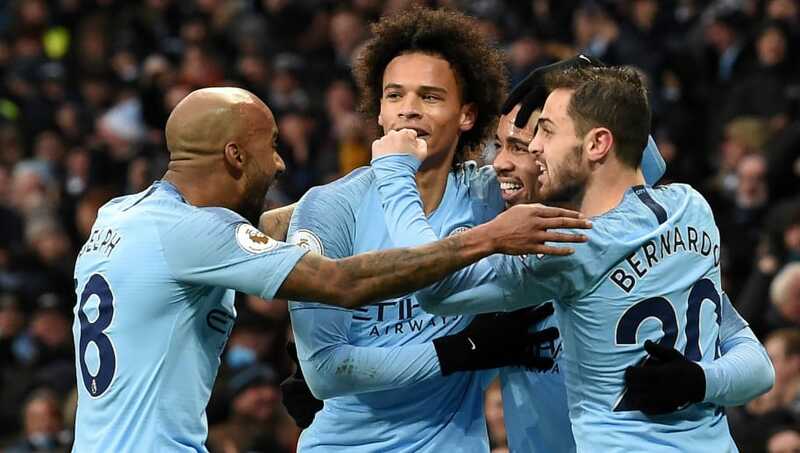 Guardiola will be demanding his side produce a similar performance against ​Everton to the one that toppled Unai Emery's side, as ​Man City look to take advantage of playing first in this exhilarating title race. Everton meanwhile could help out their Merseyside rivals by claiming a surprise result on Wednesday. Marco Silva's side have been frustratingly inconsistent this season and are currently amidst some indifferent form. The Toffees have lost four of their last six ​Premier League games, with murmurs of discontent concerning Silva's management starting to creep around Goodison Park. All would be forgotten if they could topple the champions, however. Everton have three injury doubts, all defenders, as they prepare to host a side that has already struck 66 times in the league this season. Yerry Mina is still unavailable with a foot injury he picked up in the FA Cup defeat to ​Millwall, whilst Silva has confirmed Phil Jagielka will also play no part in Wednesday's fixture. Injuries should dictate Silva's plans, with ​Michael Keane and Kurt Zouma likely to resume their partnership in central defence. The experienced Leighton Baines is also expected to miss the clash after hobbling off during the defeat to ​Wolves on Saturday - however, there is good news for Everton fans as the impressive Lucas Digne is free to return following his one-match ban. There are no fresh injury concerns for Pep Guardiola to deal with ahead of Wednesday's meeting. However, City remain without left-back ​Benjamin Mendy - who has been out of action since November with a knee injury - but is reportedly close to making a return to the first-team soon. Goalkeeper ​Claudio Bravo will also play no part, he is expected to miss the remainder of the season with an achilles injury he suffered in August. Positive news for the Citizens is that ​Vincent Kompany may be fit enough to take a place on the bench, after the Belgian has been absent from Guardiola's previous two matchday squads. ​Everton ​Pickford; Coleman, Keane, Zouma, Digne; Gueye, Gomes; Sigurdsson, Lookman, Richarlison; Calvert-Lewin. ​Man City ​Ederson; Walker, Stones, Laporte, Danilo; Fernandinho, De Bruyne, D.Silva; Sterling, Aguero, Sane. These two historic sides have clashed many times - 185 to be exact - dating back to 1899. Their similar records make for remarkable reading as the Toffees have claimed 68 victories, whilst the Citizens can boast just a couple more wins with 70. Another, tough, relentless week ahead... but you know what? History would suggest the two are evenly matched, however, in recent years City have been predictably dominant. Everton have managed just one victory in their last 11 Premier League games against City, although that win was courtesy of a 4-0 hammering at Goodison Park back in January 2017. The Toffees have been poor of late, both in the Premier League and in cup competitions. After being defeated by relegation-threatened ​Southampton in the league two weeks ago, Everton's fans' frustration would have been compounded after crashing out of the FA Cup at the hands of Championship side Millwall. There has been little for Everton fans to shout about this season, as they have disappointed after so much expectation prior to the campaign. Nearly £100m was invested into the squad in the summer, but Silva is yet find the right balance for a side that contains some talented individuals such as ​Andre Gomes and ​Richarlison. On the face of it, Guardiola's side have been exceptional this season. However, after the standard they set during the previous '100 point' campaign, question marks over complacency have been thrown around the Etihad after defeats to Leicester, ​Crystal Palace and ​Newcastle - all within five weeks of each other. The Citizens appear to relish the big occasion though, as seen by their victories over Liverpool and more recently, Arsenal. It was the kind of scintillating performance on Sunday that begs the question, how were City toppled by Newcastle just days prior? Their seemingly unpredictable form, especially away from the Etihad, should only add to the tension during Wednesday's all important clash. 12 months ago, this was a clear away win. However, City have shown they're vulnerable on the road this season, making the clash all the more intriguing. Still, it is impossible to look past Guardiola's side that possesses an array of attacking talent both in the starting XI and from the bench. Everton could provide a stern test for City as Silva will be looking for a reaction from his side following their 3-1 defeat to Wolves at the weekend. Wednesday could provide the perfect opportunity for the Toffees to regain some confidence, as they effectively have nothing to lose against the champions.